Unies Williamson married Aaron Haughton, son of John Haughton and Charlotte Standsfield, in Feb 26, 1781 at Stockport, Cheshire, England. Helen Ann Rice married Bruce Steven Mark Schroeder in May 4, 1974 at Beloit, Rock Co., WI, USA. Carol Ann Houghton married Michael Wayne Henscey in Sep 14, 1985 at Monterey Co., CA, USA. Carol Ann Houghton and Michael Wayne Henscey were divorced. Carol Ann Houghton married Jean-Marie Alfano in 2000. Carol Ann Houghton and Jean-Marie Alfano were divorced. Carol Ann Houghton married Merle David Tenney in Mar 28, 2006. Bruce Steven Mark Schroeder married Helen Ann Rice, daughter of Charles Henry Rice and Leona Mae Houghton, in May 4, 1974 at Beloit, Rock Co., WI, USA. Sarah Ann Corey married Ward Edwin Haughton, son of Bristol Haughton and Elizabeth Gass, in Sep 17, 1901 at Ray Twp, Macomb Co., MI, USA. 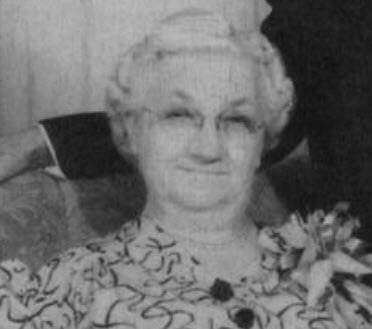 Margaretta E. Haughton married (?) Fox. (?) Fox married Margaretta E. Haughton, daughter of Ward Edwin Haughton and Sarah Ann Corey. Zella Katherine Haughton married (?) Schumaker. (?) Schumaker married Zella Katherine Haughton, daughter of Ward Edwin Haughton and Sarah Ann Corey. Edith (?) married Edwin Charles Haughton, son of Ward Edwin Haughton and Sarah Ann Corey.